I have just returned home from the first ever Los Angeles WonderCon, held at the Los Angeles Convention Center in (where else?) downtown Los Angeles, California, on March 25-27, 2016. 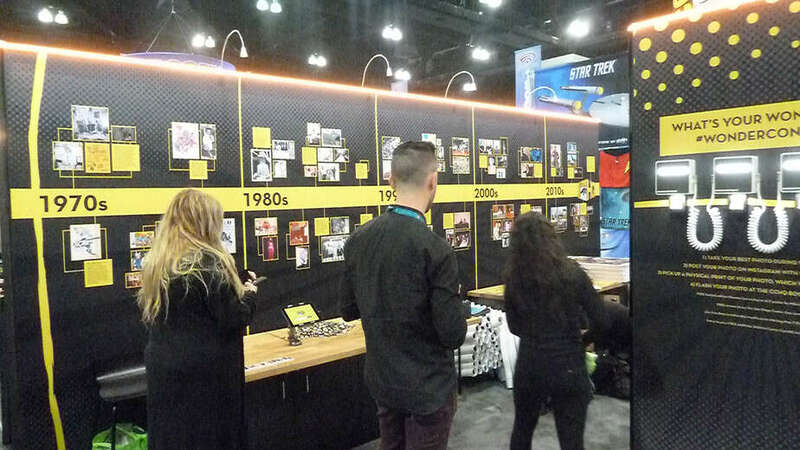 While WonderCon is not a new convention by any stretch of the imagination, there were a lot of changes this year, resulting in a new experience and feel as compared to past WonderCons held in Anaheim and San Francisco. The new location was a big difference from past years, as the area in which the LA Convention Center is located is home to a number of venues, including LA Live (a hotel, restaurant and entertainment complex) and the Staples Center (host to many local sporting events). As a result, it was not unusual in the afternoon and evening hours to come across hordes of jersey-wearing sports fans going into or out of the Staples Center, staring in amazement at the wide variety of nerdy t-shirts and cosplay that streamed back and forth across the area. Parking was difficult to find and hideously priced (for example, parking was $45 per night, valet only, for those staying at the JW Marriott, the WonderCon Headquarters hotel), and the competition with people attending the LA Live or Staples venues only made things worse. Fortunately, the LA Convention Center did offer prepaid parking vouchers in advance of the con, and this mitigated the issue somewhat. Another option was to take public transportation, as the LA Metro system was close by and easily accessible. Bus and rail stations were also within walking distance. I heard many local residents expressing their pleasure at the convenience of these options, given the difficulty of driving and parking downtown. WonderCon also provided a free shuttle service for people staying at hotels that were a little further away. 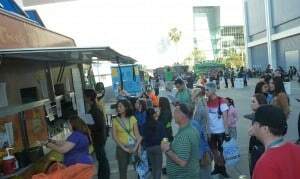 While there were many eateries nearby, they always seemed to be packed, and the food trucks parked next to the convention center saw a steady business, with long lines being the norm at almost all of them. Yet there certainly were plenty of options available, and I never heard anyone complain about not being able to find anything to eat. The LA Convention Center feels very long and narrow, and there was a sense that everything was ‘spread out’, meaning that there was a significant time investment in walking from one location to another. The hallways inside the center itself were not very wide, and it often felt like a struggle to move through to get anywhere in a hurry. This was noted by Mark Evanier, who opened the Quick Draw panel with the suggestion that the participating artists should sketch their difficulties in arriving at the panel room, given the crowded corridors. One cartoonist was late due to this very issue, then scrambled to get his drawing done while the others were finishing their sketches! The Microsoft Theater acted as the ‘Hall H’ of WonderCon, hosting the biggest panels and providing cushy angled seating to approximately 4,000 attendees at a time. This venue was designed for performances, and has hosted many awards shows, such as the Emmys, the People’s Choice Awards, and a few of the American Idol finales. As a result, the view from every comfortable seat was excellent, and I rarely found myself ‘dodging heads’ in order to see the panelists onstage. Security at the theatre, however, was cumbersome and time-consuming, as every attendee had to hand over their bags for inspection, empty items from their pockets, and pass through a metal detector (and sometimes a ‘wanding’) to enter. Even worse, the security process was inconsistent, with some guards insisting that certain cameras and food items were not allowed, then later changing policy and permitting similar items later on the same day. 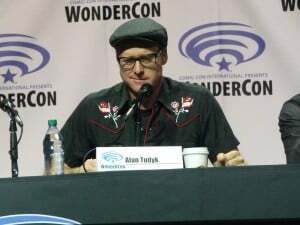 These issues were mentioned to John Rogers, President of Comic Con International, at the WonderCon Talkback panel, and his response was that Microsoft Theater provided their own security, but that Comic Con International (CCI) had not intended for cameras and food to be confiscated. Clearly, if CCI were ever to hold another event in the Los Angeles area, this would be a matter up for discussion. Unfortunately, the Microsoft Theater was located away from the convention center, which necessitated long walks in the sun to get there from the main venue. It made me long for the days of entering the arena (in Anaheim) from inside the convention center itself! Yet in the end, this wasn’t too much of a price to pay to see the excellent panels that were presented within the theatre. Yet the biggest change at WonderCon Los Angeles was the debut of RFID badges. 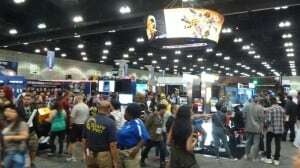 This was a first for Comic Con International, and it was generally seen as the ‘test run’ for a similar system at San Diego Comic Con this coming July. Numerous ‘tap in/tap out’ stations were set up around the convention center, and it was required that attendees press their badges against vertical panels in order to access the exhibit floor or panels. If a green light appeared, all was well. If a red light appeared, security would not let you pass and sent you to the registration area to get your badge fixed. Apparently, on the first day many of the badges had not been ‘turned on’, and this resulted in long waits at the help stations. At the Talkback panel, disabled attendees complained that the coverings over the electrical cords between the stations were difficult to traverse for those in wheelchairs or strollers, and those with other forms of limited mobility. It will be interesting to see what changes are made in San Diego this summer. Although I heard complaints about things backing up around some of the entry/exit points, I never personally witnessed this, save for the line of people entering the exhibit hall immediately after it opened on the first day of the con. My impression was that other than some badges not being turned on, the tap in/tap out was a very smooth experience. By Sunday, people were definitely getting used to it, and I saw lots of quick badge flips and twists from attendees passing through the checkpoints, indicating an increasing degree of ease with the procedure. 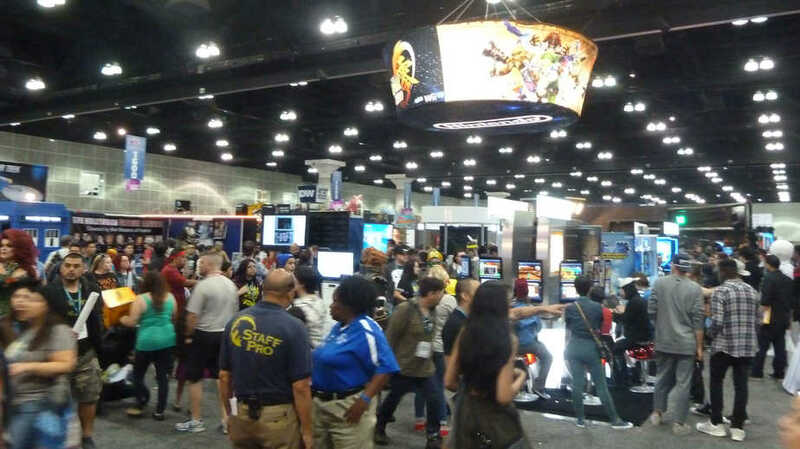 While there were many changes at WonderCon this year, many of the great things from previous WonderCons were still present: most importantly, the exhibit hall and a wide selection of panels. 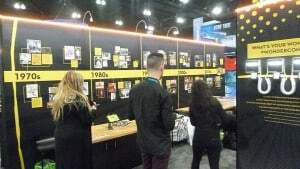 Highlights on the exhibit floor included the DC booth (plenty of free comics being given away at all times) and the Comic-Con HQ booth (CCI’s new video streaming service with Lionsgate) which had a fascinating ‘History of WonderCon’ display along an entire wall. The panel selection included some ‘usual suspects’, such as Quick Draw, Starship Smackdown, the premiere of a DC Animated Feature, and a screening of Dr. Horrible’s Singalong Blog, as well as smaller panels on cosplaying and how to break into writing and comics. There were also many bigger ‘studio’ panels, such as Agents of S.H.I.E.L.D., Orphan Black, The 100, Con Man, and Legends of Tomorrow. One highlight I personally enjoyed was the chance to screen the entire first episode of the upcoming CW series Containment, and see a panel with most of the cast afterward. WonderCon already has dates and a location booked for next year: back in Anaheim from March 31-April 2, 2017. I am looking forward to attending this con again, knowing that as always, CCI will continue to put their best efforts into producing a wonderful event for all attendees. I hope to see you at WonderCon 2017! The cast and producers of Containment. 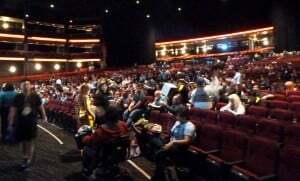 Chris Hardwick takes over the Microsoft Theater. Alan Tudyk talks about Con Man. The premiere of Justice League vs. Teen Titans. 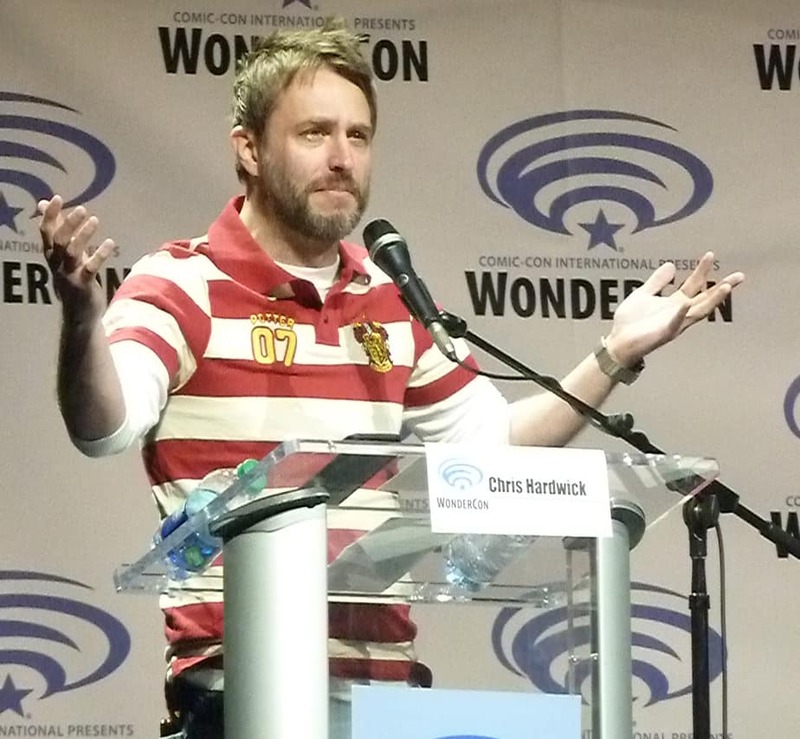 Come join the discussion about WonderCon 2016 at Friends of Comic Con! 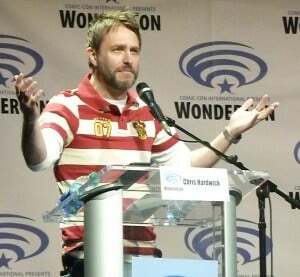 Audio recording of WonderCon 2016 Talkback panel.